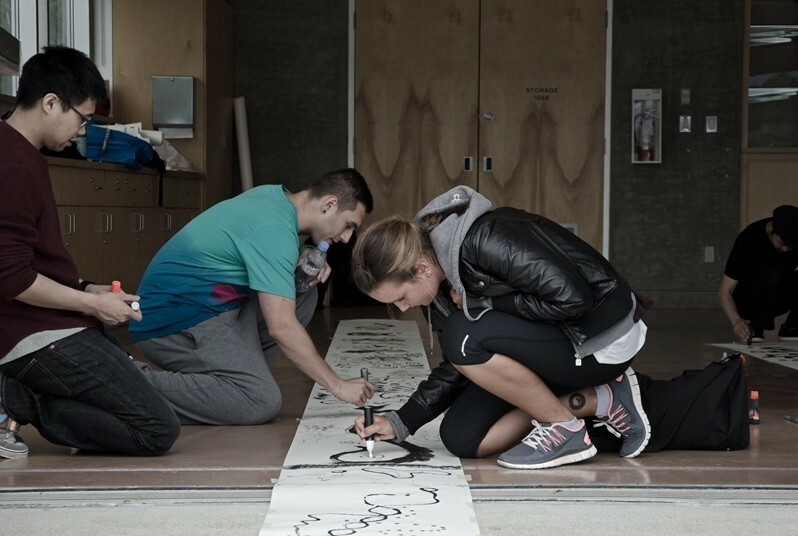 In Vancouver, Hiraku Suzuki presented a live drawing performance in collaboration with local sound artists Ross Birdwise, Soressa Gardner, and Joe Rzemeniak at Coal Harbour Community Centre. 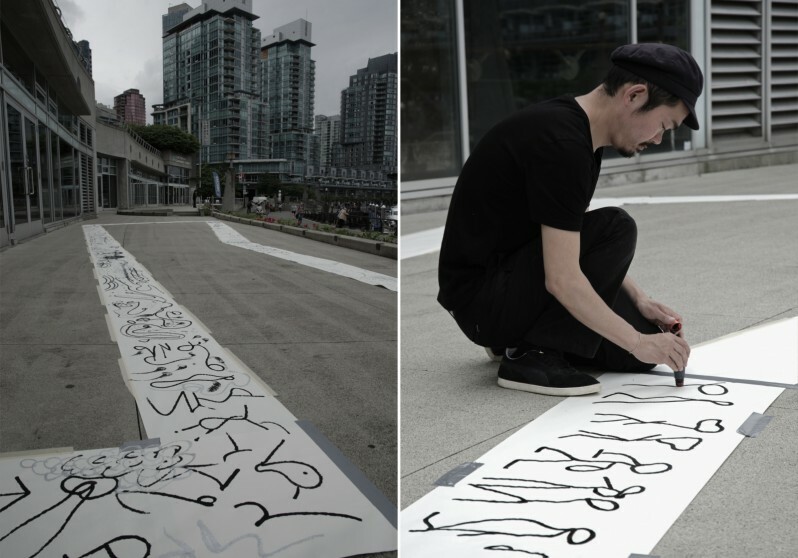 Mostly spontaneous and improvisational, Suzuki’s Vancouver Biennale workshops and performance drew heavily from momentous interactions with nature and forms of language. Based on the reference to the new possibilities of drawing in the world today, Suzuki refers to “Genga,” the abstract shapes that constitute a language form in itself. 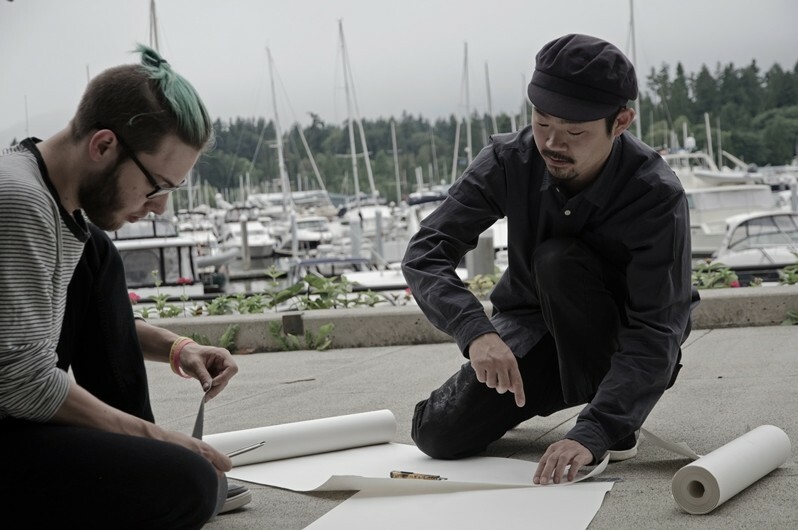 According to Suzuki, the most important point of his live drawing performance in Vancouver was the complete improvisational process of conversation with a particular circumstance. With one element being his body and others being space, time, sound, and other subtle circumstantial factors, Hiraku used drawing to transform a certain place into an imaginary excavation site where something unexpected invariably would appear.